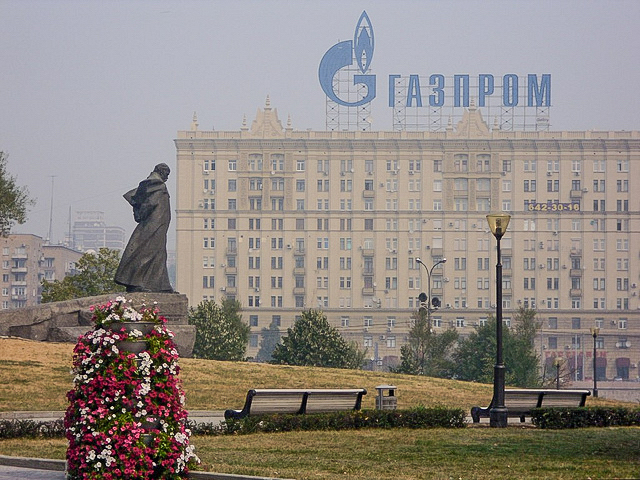 Gazprom has sent proposals to the European Commission regarding an out-of-court settlement of an antitrust case against the company, the Interfax news agency quoted a company official as saying today (21 September). After more than two years of investigation, EU antitrust regulators charged the gas giant in April with abusing its dominant position in Poland, Hungary, and six other countries in Eastern Europe, to overcharge by up to 40%. The state-run monopoly, which supplies a third of the EU’s gas, needs and generates more than half of its revenues there, has denied the charges, and said it has already made significant concessions. Russian officials have called the case “political” and have voiced several legal objections. First, Gazprom may have divided European gas markets by hindering the free flow of gas across member states. Second, it may have prevented the diversification of gas supply. Third, it may have imposed unfair prices on its customers by linking the price of gas to oil prices. However, Gazprom said in May that it would consider offering Europe new concessions, including on pricing, to settle the antitrust case, and thereby avoid a long legal battle which could result in billions of dollars in fines. Interfax did not say what was in the proposals, but quoted Alexander Medvedev, Gazprom’s deputy chief executive officer, as saying on Monday that Gazprom would soon set up a meeting with EU antitrust chief Margrethe Vestager, the news agency reported. Gazprom has to submit a written response, or statement of objections, by 28 September, to the European Commission. “We sent our proposals about the settlement of the claims, which were formally lodged to Gazprom,” Interfax quoted Medvedev as saying. “In the nearest future, we will discuss it with Mrs Vestager, in order to find an out-of-court solution,” he added. Medvedev also said that Gazprom would send its statement of objections on 28 September, as he did not expect to resolve the issue by that date. Gazprom is suspected to be in breach of Article 102 TFEU, which prohibits the abuse of a dominant position which may affect trade between member states. The implementation of this provision is defined in the Antitrust Regulation (Council Regulation No 1/2003), which can be applied by the Commission and by the national competition authorities of EU member states. Gazprom delivers gas to 25 EU countries, the exceptions being Spain and Portugal. The vast majority of contracts to Europe are 20-25-year contracts.